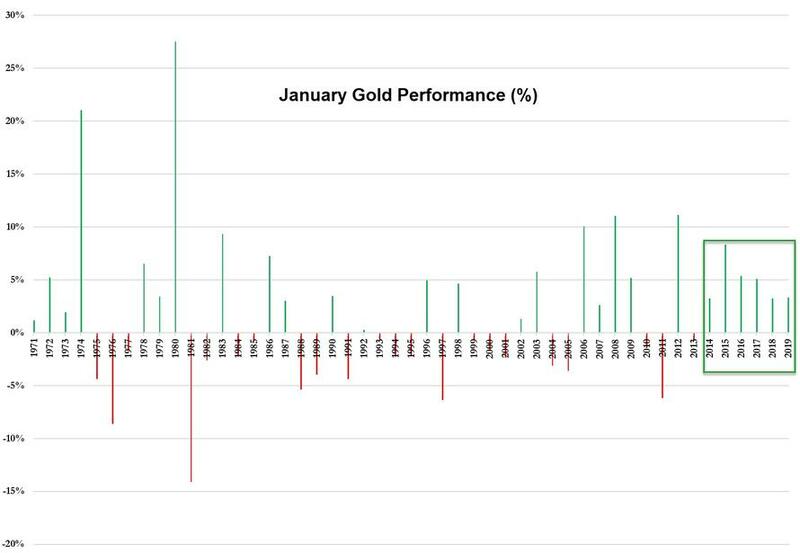 SOURCE: 01-31-19 - "Commodities attempting breakout off 7-year support!" Central banks bought last year the most gold in 47 years, with 651.5 tonnes (74% higher YoY). The 2018 gold buying spree by central banks isn't just the biggest in 47 years, but also the second highest annual total on record (only surpassed by 1967, when central bank gold reserves increased by 1,404 tonnes). 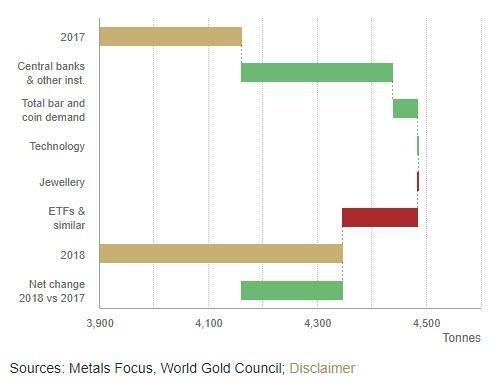 And as BCS Global Markets said in a note, the big range in analysts’ outlook for gold this year shows “that there is actually no consensus." 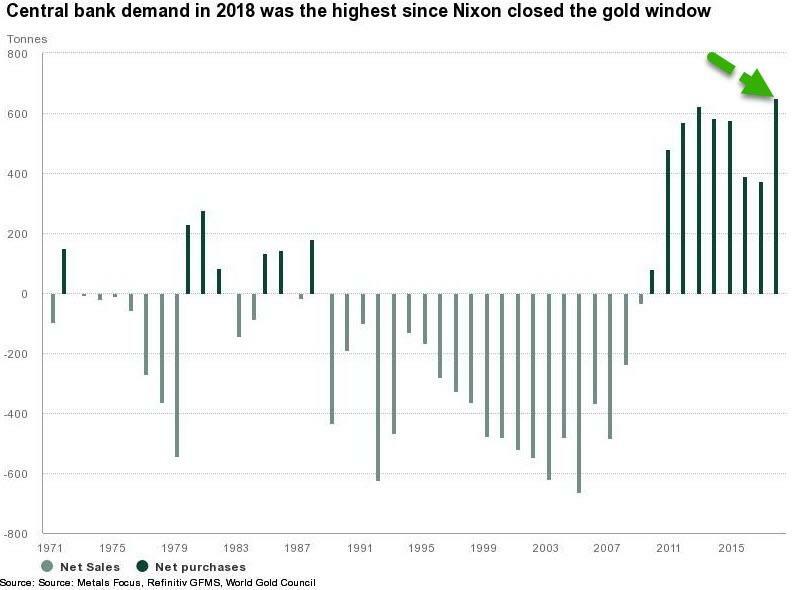 Additionally, Bloomberg's Javier Blas notes that the 2018 gold buying spree by central banks isn't just the biggest in 47 years, but also the second highest annual total on record (only surpassed by 1967, when central bank gold reserves increased by 1,404 tonnes). 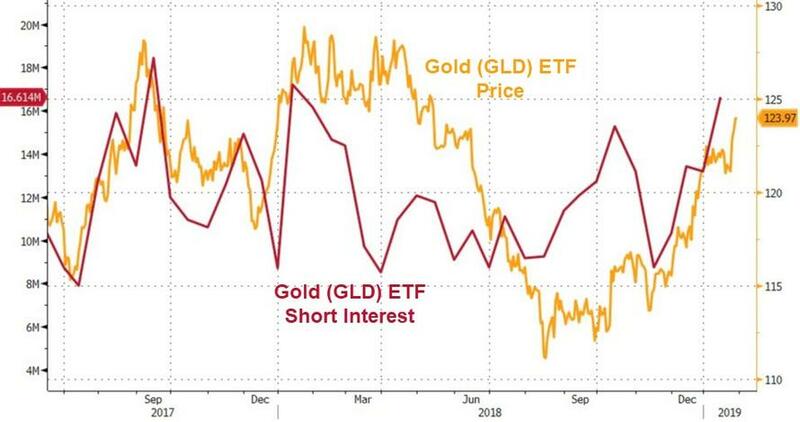 "Heightened geopolitical and economic uncertainty throughout the year increasingly drove central banks to diversify their reserves and re-focus their attention on the principal objective of investing in safe and liquid assets," said the World Gold Council report released on Thursday. So, what do the central banks know that mom-and-pop FAANG-buyer don't? FED CAPITULATES WITH RATES ‘ON PAUSE’ & UNEXPECTED SHIFT IN THE BALANCE SHEET NORMALIZATION NARRATIVE WILL THE SHIFT IN GLOBAL CENTRAL BANK DIRECTION DELAY THE RECESSION TO 2022?